I'm going to pretend that the first practice shift didn't happen. It was such a disaster, I'm going to pretend that I started at the second, and more successful one and forget all the horrors of learning how to set a gusset. You may laugh now, I certainly do, but a gusset was a bad word for a few hours as I figured it out. 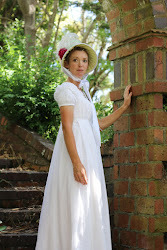 As I got to in my last post, I had decided to begin with an 18th century costume. Complete from skin to cloak, or thereabouts. And in that order of course. 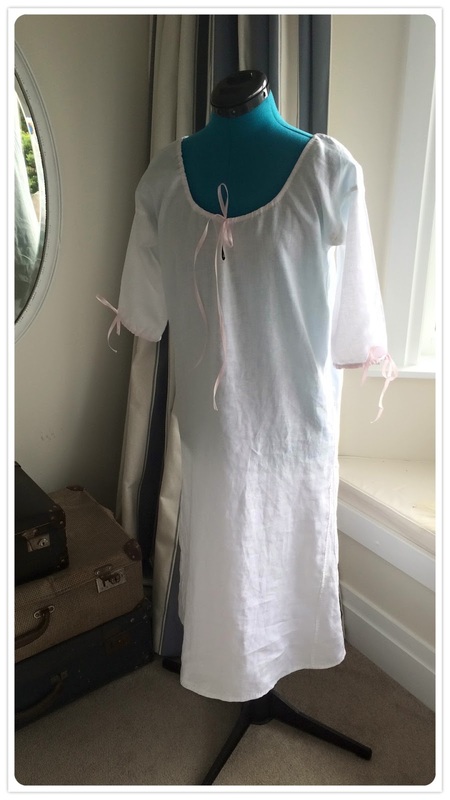 Following this sensible decision, I went ahead and found the nicest gown pattern I could to order online. After a few seconds I realised I wasn't making any robe until I had made a set of stays so I would fit this gown...oh my goodness...NO WAY. There was no way I could possibly start my self-taught sewing lessons with stays. On this note, I would like to rate the patterns I bought at some stage. 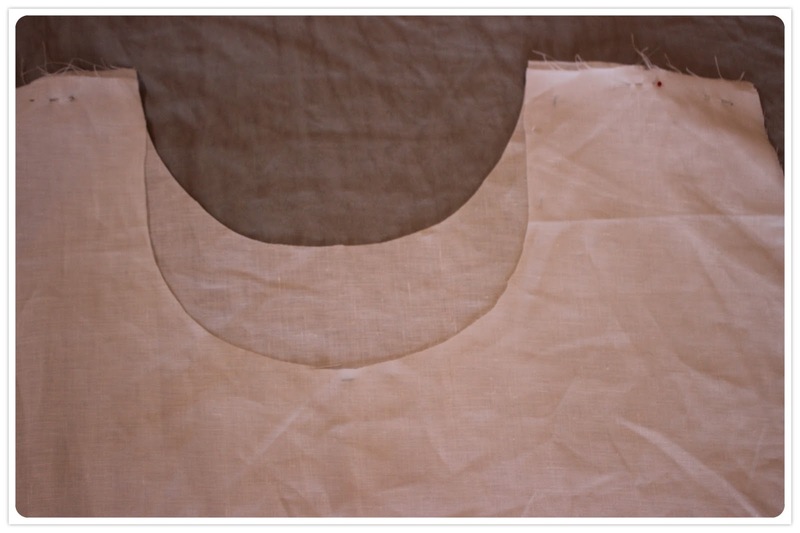 As any new dressmaker knows, there is a vast difference between the quality of patterns, and unfortunately with all the amazing information in the world available online, I could not find a good, reliable pattern rating system that I could understand. It was going to have to be trial and error. Plenty of error, no doubt. But trial it would be. I ended up on Burnley & Trowbridge Co. which looked like it had a good selection and ordered the Larkin & Smith English Gown 1760-1770 which was about NZ$40 and the JP Ryan Stays pattern for about NZ$25. While I waited for these to arrive from their countries on the other side of the world, I did some more study and decided the first thing to make was actually the shift, found a good pattern on a site online which wasn't going to cost me this week's grocery money, and headed out to the local fabric store. (In actual fact, there is a short spell in the middle of that sentence that involves cutting up an old bedsheet - that I later discovered wasn't actually actually old nor unneeded - and some hand sewing, but we are going to ignore that). This pattern was my inspiration from Terry Dresbach's website. Unfortunately her site is not up at present while working on season 3 of Outlander, for me to link to. When I say THE local fabric store, I mean the one and only. These days in NZ there is practically no option outside of the main centres besides good old Spotlight. But at least they had white linen. 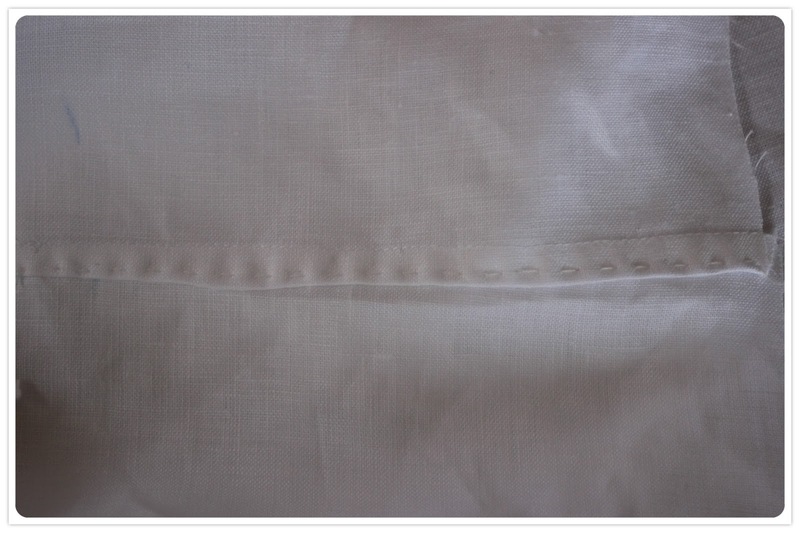 According to everything I read, if I was going to be English, I was going to wear linen. And it must be white. 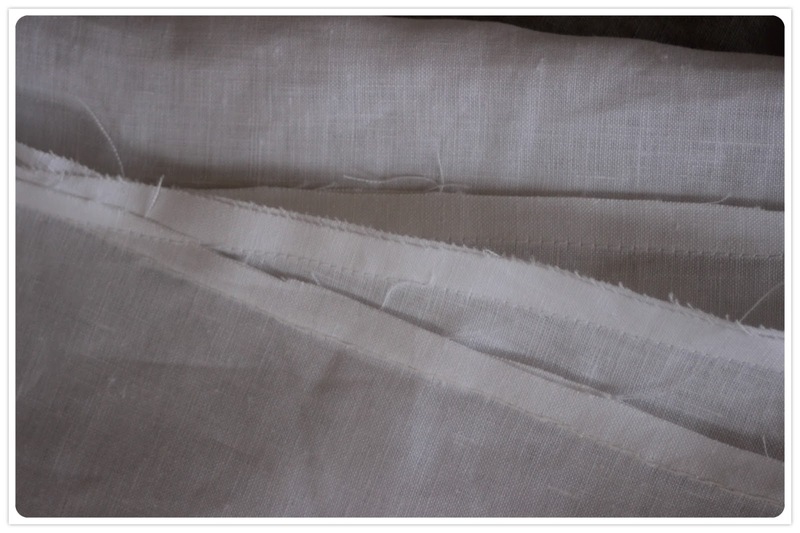 At NZ$30 per metre I decided I was going to follow the 18th century principles of fabric economy, and started hacking into that pristine white fabric. I also had to get cotton thread as they don't sell linen thread. The pattern I used was from a website which I believe is Marquise. The pattern and instructions were excellent, and there were links to great little pictures and diagrams. 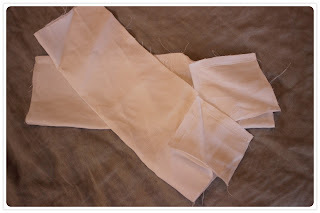 As fabric these days comes in 150cm widths, I decided to cut across-wise and sew a shoulder seam. I cut it on the small side, my frame not being particularly wide, if somewhat tall. I learned to set an underarm gusset, flat-fell the seams, create shape using gores, and make self-facings and self-casing. I got the impression that the general length for this period was mid-calf, the sleeves 3/4 length, and they didn't seem to have draw-cords in either wrist or neck. I preferred a short split at the centre front, so went ahead with a drawcord anyway, as well as with the sleeves. Later, once I had made the gown, I realised that what had at first seemed like a very low neckline in the shift was in fact not even low enough for the common neckline of an 18th century gown. The next one I make will be even deeper and I'll leave out the drawcord. For this one, I removed the wrist drawcords after finishing as they were pretty pointless. As for techniques, I did a mix of machine and hand sewing, making sure that all the flat-felling was done in as even stitches as I could. I found the shift so comfortable to wear when trying it on, I decided to sleep in it. It's great to wear in both summer and winter I have discovered! For many reasons, but as this is no place for graphic descriptions, I will leave it at that.